Pronounced: …lek. This one sounds like it looks! Sciency Definition: A lek is a communal assembly area where members of certain species meet to carry on courtship behavior and impress the local ladies. What’s it do? A lek is a place of great testosteronal activity: males of species including ground-dwelling birds like Black Grouse (Tetrao tetrix) and Sage Grouse (Centrocercus urophasianus) gather in one designated spot, performing mating displays and challenging each other. “Lek” is a word of Swedish origin, coming from the word leka which means “to play.” “Lekking” is the act of performing at a lek, which may also be called a “strutting ground.” Superior males get prime real estate in the lek, with lesser contenders lingering further towards the outskirts. Females visit to survey the selection and choose a mate. Pretty neat, huh? Example sentence: I don’t have an example sentence today; all I can think about is a group of human males getting together in a big field to flap their arms and stomp their feet and make noise, while mildly-amused women stand off to the side, muttering to each other. I need some coffee. You can check out an outstanding video here of Sharp Tailed Grouse lekking it up! It very well may be the coolest thing you see all week. Sciency Definition: A bend or curve in a shoreline, [or in a rope, as opposed to the ends of the rope]; also, a wide bay-type formation created by such a curve. What’s it do? A bights is shallower than a sound and wider than a bay. 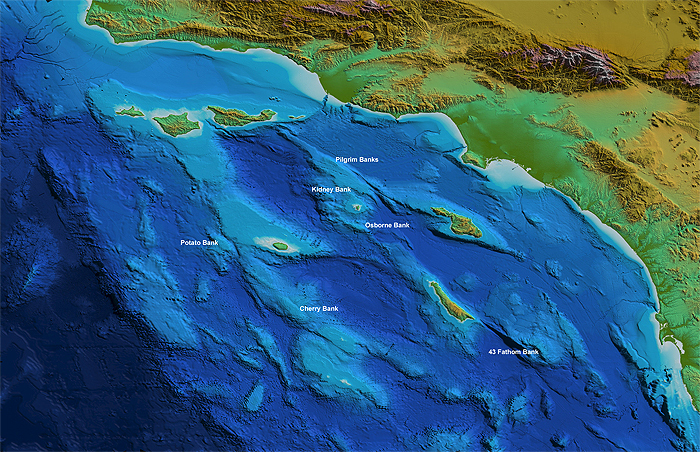 Depending on location and local ecology, bights can be hotspots for upwellings of nutrient-rich waters. In these areas, food chains flourish. The Robson Bight of British Columbia is visited annually by orcas, and the marine mammals seem to rest and play more in the bight than when visiting other areas of the BC coast. 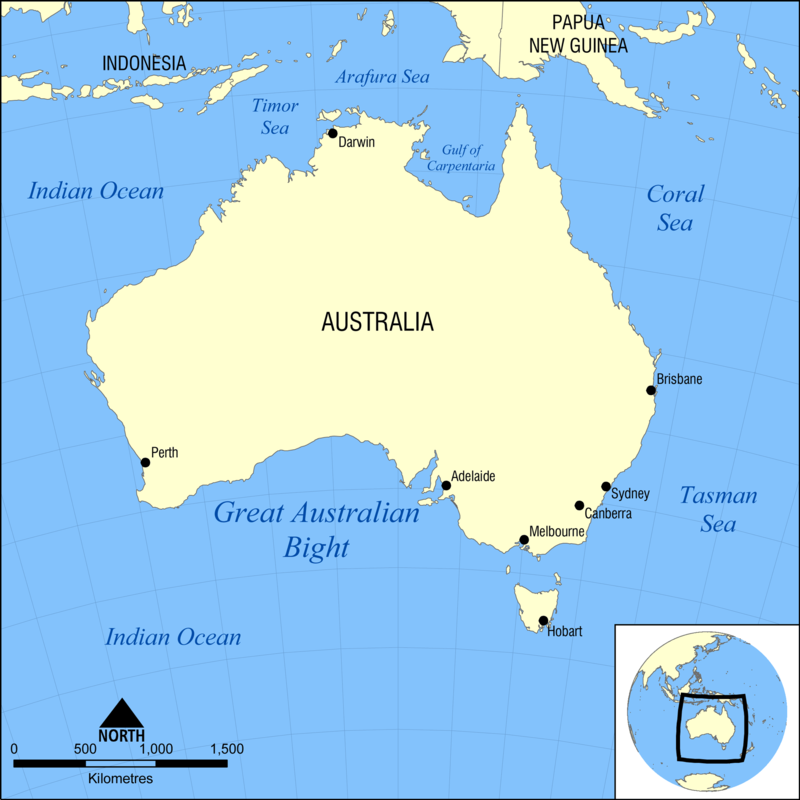 Example sentence: The Great Australian Bight is an example of a bight that does not harbor abundantly fertile waters due in part to a lack of runoff from the edge of the continent. Southern Right Whales and sharks are frequent visitors. Sciency Definition: Relating to twilight, or descriptive of activity occurring during twilight. Or I could have said: Dawn and dusk. What’s it do? Animals, insects, fish, and all other living things that are “crepuscular” are most active during the times between day and night, a time known as twilight. (Not to be confused with that vampire movie.) Temperatures during dusk tend to be milder in hot climates, and the dimmed light provides a certain measure of cover to animals that are usually preyed upon. On the other side of it, the lower light helps predators stay under cover as well! Examples of crepuscular animals are deer, fox, many species of snake, and plenty more. One of my all-time favorite crepuscular critters are lightning-bugs (also known as fireflies)! Example sentence: I was quite nocturnal in my college years, but now I find that I prefer the crepuscular times of day. 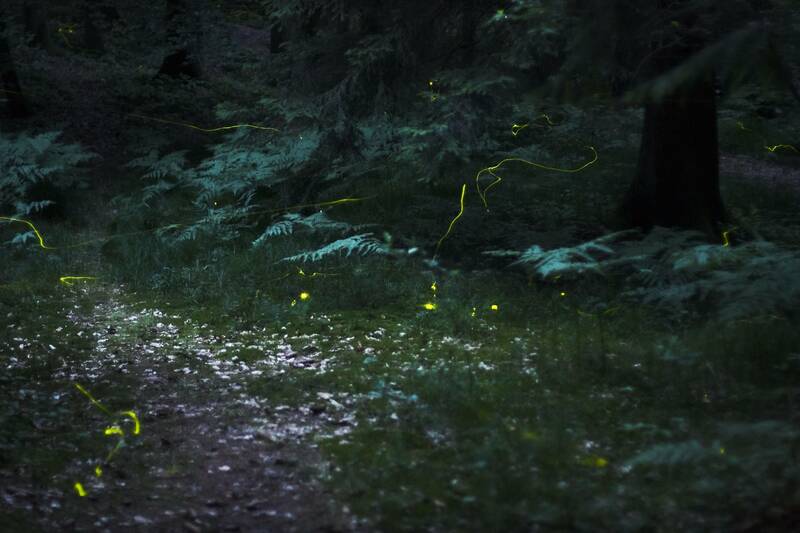 Fireflies in the forest, by Quit007. Sciency Definition: A member of the order Passeriformes, the largest group of the class Aves. Or I could have said: Perching bird. What’s it do? Members of the order Passeriformes are the perching birds, which include more than half of the living species of birds. They each possess feet adapted for perching or clinging. “Song birds” are all passerines but not all passerines are song birds; song birds just have the best use of the muscles used for creating vocalizations (the syrinx). Some song birds, instead of singing, create an incredible range of sounds including clicks, croaks, and mimics of sounds they hear in their environments. Example sentence: Despite being categorized as passerines, crows and ravens do not use their syrinx muscles to produce songs. Baby scrub jays might be passerines, but they have a song only a mother could love! To see a video of one of the greatest passerine mimics on the planet, click here to watch a video of the Australian Lyrebird in action. Sciency Definition: The large crater formed when the center of a volcano collapses during an eruption. Or I could have said: Giant hole in the middle of a volcano. What’s it do? 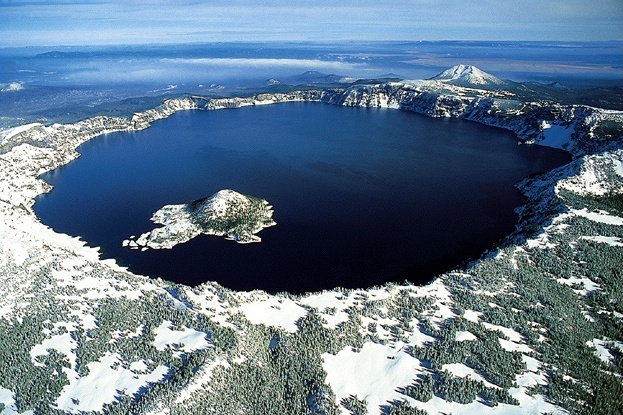 Calderas can form incredible lakes, like the one found at Crater Lake National Park in Oregon. Crater Lake was formed when the volcano known as Mount Mazama erupted and collapsed in upon itself. Over the nearly eight thousand years since the eruption, the crater has filled in with rain and snow water, creating one of deepest and clearest lakes in the world. Example sentence: The Old Man of the Lake has been bobbing in the waters of the Crater Lake caldera for more than a hundred years! Aerial view of Crater Lake in the winter, by Zainubrazvi via Wiki. Wizard Island sits in the western section of the lake. Sciency Definition: Phloem and xylem are two layers of tissues found within the stems of plants and trunks of trees. Or I could have said: Plant guts. What’s it do? Phloem is made of tissues that transport sugars created during photosynthesis, feeding the plant from the top (where the leaves are) down to the roots. The xylem is made of tissues that transport water and minerals up from the root system. In trees, the xylem dies after one year, creating the rings you see in a tree’s cross-section. Example sentence: A tree ain’t cryin’ without its XYLEM! Ha! Uh, sorry, I must have had some phloem stuck in my throat. Can you use either of these words this week? Report back in the comments! Cross-section of a flax stem by SuperManu, via Wiki. The xylem is #3, and the phloem is #4. Sciency Definition: The white, fibrous tissue that covers all of the eyeball except the cornea. Or I could have said: Eyeball. Example sentence: Don’t fire until you can see the sclera of their eyes! Sclera, via Rhcastilhos on Wiki. This segment will [mildly] stretch your brain and give you completely arbitrary information that you can share at dinner parties, on the bus to work, or with your significant other when they’re not expecting it. Each week I’ll share a word and its definition, and challenge you to use at least ONCE at SOME point in the week – and then post what you did in the comments section. Or, rather, what your friend or family member did after you said it. The more absurd, the better. Sciency Definition: A macrophyte is a “macroscopic” (meaning that it can be seen with the naked eye) aquatic plant, emergent (rooted in soil but most of the vegetative growth above waterline), submergent (all plant matter beneath the waterline), or floating (floating). Or I could have said: Water plants. Example sentence: What kind of macrophytes are in this sushi?